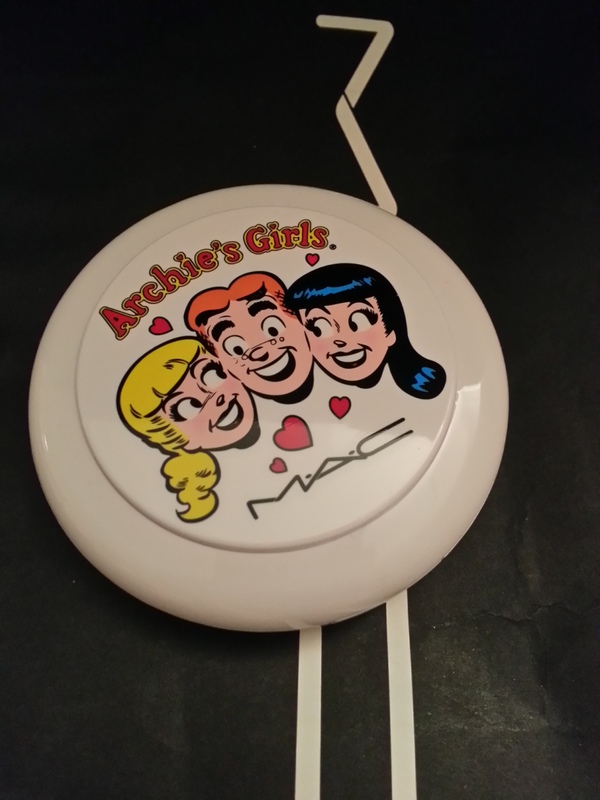 I wasn’t able to pick up much of the MAC Archie’s Girls collection on its original release date (Feb 7), but was very lucky to get my hands on every item I wanted from this collection on Valentine’s Day for its re-release of a few popular items. This collection is absolutely gorgeous, although the Hello Kitty and Disney Villains collections are still my top favourites. As you can see, most of my picks were from the Betty Collection, I think its because Betty has more of the soft, girly colours that look better on me compared to the darker shades offered in the Veronica collection. I went crazy over the lip sticks! 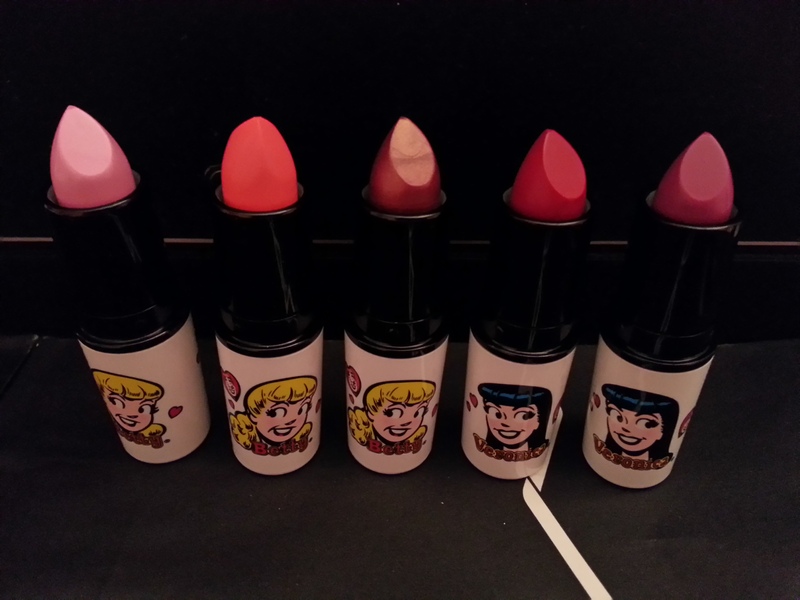 Especially the Betty Bright and Ronnie Red, which were the more popular items from this collection. ($20 each) If I had to choose only 1 item from the entire collection, I would say the lipsticks are the best investment. Girl Next Door: A silvery light pink, not usually my colour, but would look great for the Spring & Summer. Betty Bright: My favourite item out of the entire collection, its a bright coral colour that would look great with anything. Oh Oh Oh: At first I thought it would be a very deep brown colour, but its actually a brownish-red that looks very natural. Would recommend it for those with lighter lip colours for a natural highlight. Ronnie Red: I was very happy to get a hold of this lovely shade of red. I’ve always wanted a bright red lipstick to go with a little black dress, and I’ve finally found it. Daddy’s Little Girl: This reminds me of an electrical grape purple. Similar to Girl Next Door, its not usually my colour, but I’m willing to give it a try for the Spring & Summer. Apparently not all the nail lacquer’s sold had the Betty & Veronica print, and if you managed to get your hands on one with a print, then you were very lucky. The ladies at MAC were very helpful, checked each box to make sure it had a print, and even offered to call another store when I was missing the Veronica print for Double Trouble. 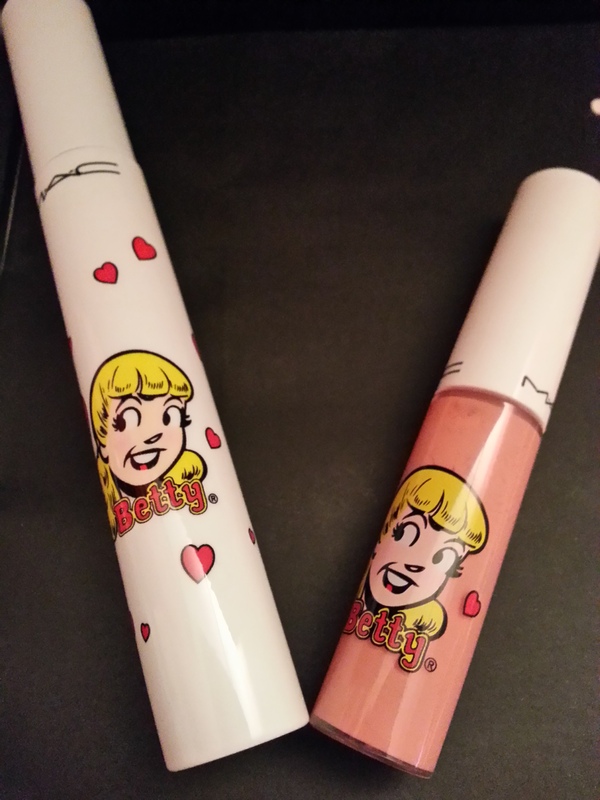 I love the 2 pinks from the Betty collection! Comic Cute has the bright coral colour I want for Spring, but Pep Pep Pep will be worn more because of its natural soft pink. My mom was eyeing the 2 Veronicas (maybe I’ll lend it to her, just maybe :p) and urged me to wear the Past Curfew this week, which is a red/dark purple (more red than purple). The Double Trouble is a beautiful shade of dark blue that’s not black yet, but almost resembling a black polish. I should add that MAC Nail Lacquers come off very easily and dries very fast, which is something that I like when choosing a polish. Summer Sweetheart: I fell in love instantly with this lipglass! It is clear with a hint of peach that made me look put together when I initially tried it on (I wasn’t wearing any makeup when I went to buy this). This lipglass will definitely be my lifesaver during days when I look tired or don’t get enough sleep. I was hesitant to buy this eyeshadow set initially because I don’t wear eyeshadows often. So for the price of $52, I couldn’t justify buying it. I read a few reviews from other bloggers and finally decided to give it a try. 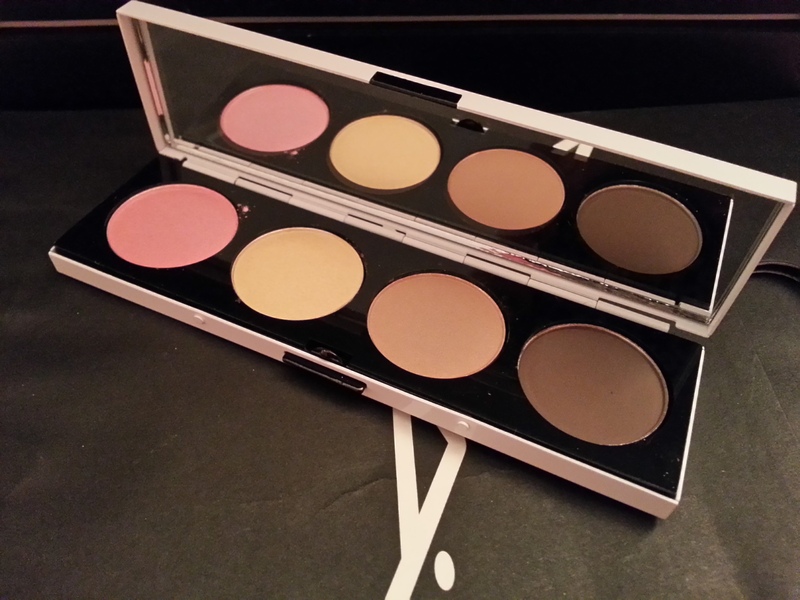 I love all the colours in this palette since it is very soft and when mixed, the colours set very nicely and pigmented. Again, I will be wearing these colours in the upcoming Spring season. Another popular item from this collection. I absolutely love the soft peachy-pink blush. I always have a difficult time finding a blush that isn’t too strong and will make my cheeks look un-natural. But this one is perfect! The colour gives my cheeks a soft glow that looks very natural, would recommend this if anyone is still able to get their hands on this little gem. This last item is my favourite (lets be honest, I love all the items from this collection). 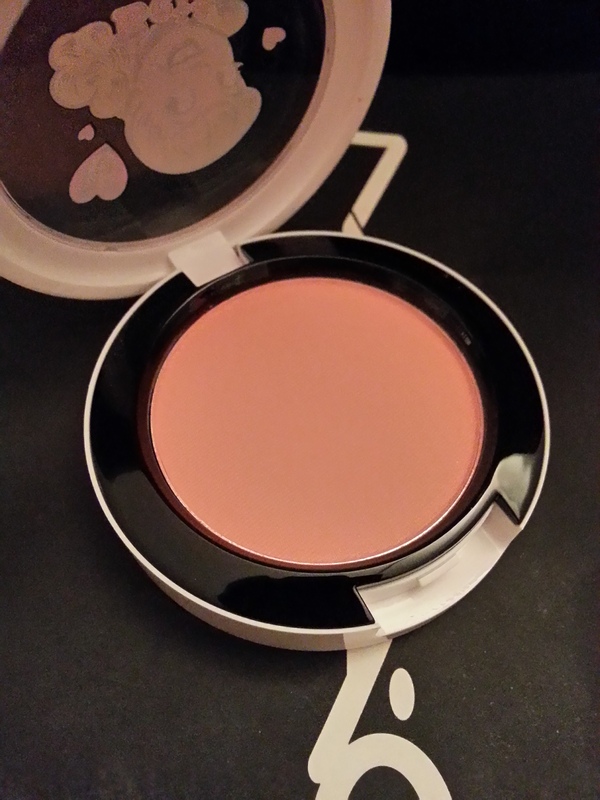 The Pearlmatte Face Powder ($35). I picked the Veronica’s Blush because it has the silvery peach glow like a blush, compared to the Betty’s Flatter Me, which reminded me of a bronzer, and I’m not a big fan of bronzers. 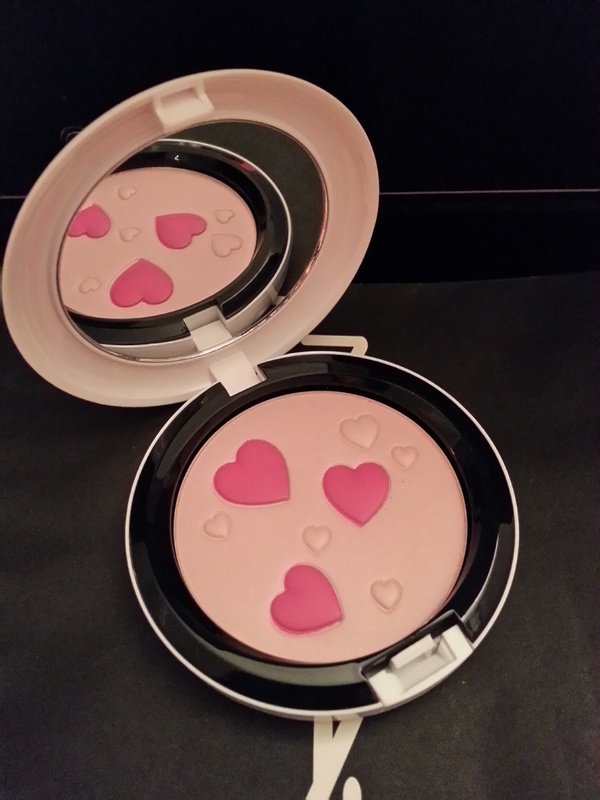 However, its still a really pretty powder, both of them are beautiful, so whichever one you pick it’ll look great! The powder has little hearts that is supposed to give more colour, but I didn’t notice much of a difference when I mixed the silver and pink together. I would just use the pink section if you are going for a brighter pink look. Final verdict: This entire collection is amazing, and it is no surprise why most items sold out very quickly (as with every MAC limited edition collection). The colours are great for the upcoming seasons and there’s a little something for everyone, whether you prefer more softer Betty colours, or darker and sophisticated Veronica colours. I’m very excited to wear the Betty Bright tomorrow! If you are able to get a hold of some of the items, don’t wait! Most of these colours can be worn with dressier and casual outfits, depending on your preference.